Very beautiful Oldenburger premium filly 4/2017 by For Romance/Sandro Hit/Rubinstein with swinging movements and an impressive neckline like a stallion. 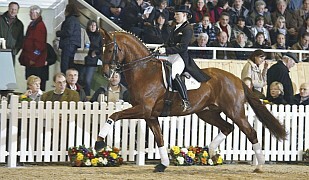 Elegant mare with lovely character and tons of potential for a great career in sport and breeding. Mare with wonderful swinging and big movements and modern pedigree ! This is a wonderful filly for the amateur rider looking for a beautiful, uncomplicated mare for a top-level dressage and breeding career ! 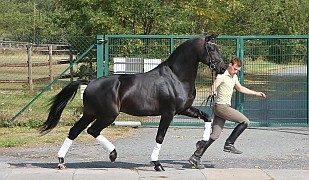 The two-times winner stallion For Romance I OLD won his first advanced level dressage classes as seven-years-old and competed in the final of the Nuerberger Burg Pokal. More than ten of his sons from his first two years have been licensed; also he produced a lot ot premium mares and championship foals. 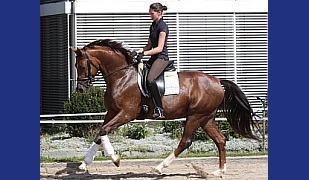 The For Romance full-sister is the Oldenburg winner mare Fasine, who became National Dressage Champion in 2015 and who was sold for 1.3 Million Euro at the P.S.I. auction. 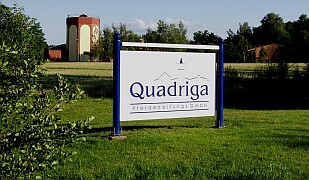 His full-brother was Oldenburg premium sire in 2015. 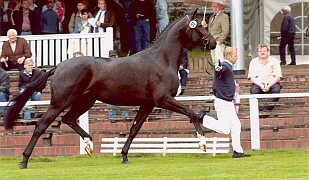 His half-brother Fortunell was the winner stallion in Mecklenburg and his half-sister became Best of All British Dressage Champion. 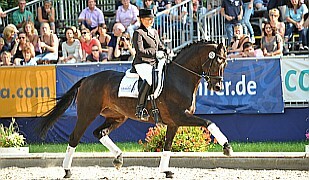 Her grandsire, Sandro Hit, is World and German Horse Champion and one of the most prolific money makers in Germany – a legendary producer of modern type dressage horses of the highest caliber. And on the end of the pedigree is standing the starshire Rubinstein . Dam has made a very good mare test . 3 of her offsprings are nominated for the elite auction in Oldenburg.